As with my previous DNA tests you take the sample by swabbing your cheek and send it off to a lab, there they analyse it for the genes involved in two main areas of run-related fitness. 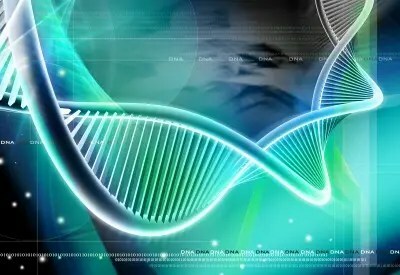 The first examines which variations you have of 13 different genes that control things like how well your blood vessels dilate during exercise and whether you can mobilise fat as fuel once you’ve run out sugar in your muscles – the results of these things determine whether you are better at endurance type exercise like marathon running, or power work like sprinting. Turns out I have 61% endurance genes and 39% power ones – which means I’m a mid distance endurance runner with 10km and half marathon my ideal events. Well isn’t that handy considering I’m off to do both of those this weekend! Nothing like being told you were born to do the distance to give you a little confidence burst! I was confused though, if I was born to run middle to long distance – why am I so blooming slow? Thankfully I had someone to ask as the test includes a consultation with an expert to go over your results. They talk through exactly what your personal make up of genes should mean and then give some recommendations on how to train to accentuate your strengths and minimise your weakness. When I asked the doc that question and confessed my 11-12 minute mile pace his answer was interesting. “You shouldn’t be,’ he said. “Genetically, you should run faster than you do – there’s something else stopping you doing so.” Whether that’s lack of confidence or the fact that I’ve never really worked closely with a running coach to get the best out of me he couldn’t say – but he did suggest that should I want to get faster I start to incorporate more stride work into my long runs to make the most of the fact that I do have power genes I can call on when I need them, and do more speed work and less plodding through the miles. However, saying that, he did warn me to be careful. You see, the second half of the test looks at how well you recover from exercise and how at risk of injury you might be. 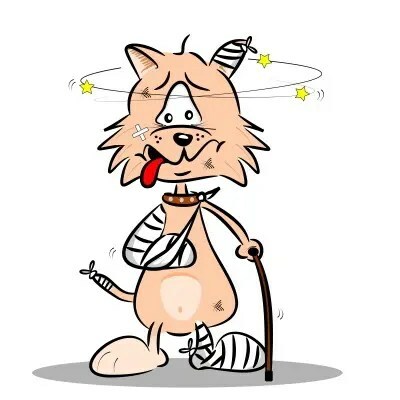 Here I didn’t score quite so well, apparently I need to be a bit careful as my gene variants mean I’m prone to inflammation and have a risk of soft tissue problems – my Achilles has been niggling ever since it heard that! I did take on board the warning though, but thankfully I already do most of the solutions which include a diet containing omega-3 fats and lots of brightly coloured fruit and vegetables, getting lots of rest and listening to your body and pulling back if it’s not happy – I’m good at all of those. Two things I did add though were an anti-inflammatory supplement to try and counteract some of the aches and pains further and a sports drink on all my long runs. Apparently these help decrease the stress hormones you produce during endurance work which also contribute to inflammation. So that’s me, but is the test going to be any good for you? Well, my overall verdict is that it’s a brilliant test for people who are serious about their sport, whether that is at a proper athletic level or for whom things like PB’s really matter. Personally, I have enough stress in life and so I’m not hugely interested in making running another part of my life with pressure, so whereas I learned a lot, found the test fascinating – and a got a lovely confidence boost for my races this weekend – the results and detailed training plan are a little bit wasted on me. For those who do want to compete though – with others or yourself – it could provide a really valuable insight to help you do that more quickly and efficiently. See more details at www.dnafit.com, Warning, it is a very pricey £249 though. Good luck Helen look forward to reading all about it.